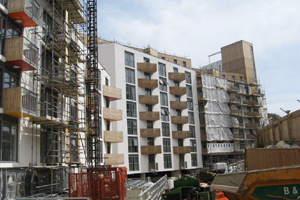 Work started on the redevelopment of the Brighton Station Site - New England Quarter – in June 2004. The site has been under construction during the past five years and further consents have been granted for separate blocks located within the Masterplan area. 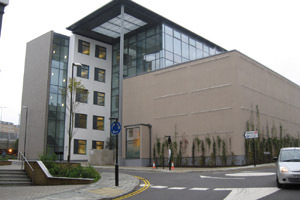 Following the completion of the station car park in 2005, Sainsbury’s opened for trading in March 2007 and Bellerby’s Language College, located on Billinton Way, took occupation of their purpose built facilities in November 2007. The building has a floor area of 14,884 sq m that includes on site student accommodation, teaching facilities and state of the art library. The 234 bedroom Jury’s Inn Hotel, located on Stroudley Road, opened in April 2008 and construction of the notably sustainable development of 172 flats, commercial office space and new community centre, known as, ‘One Brighton’, started in 2008. One Brighton is due for completion in 2010. 31 town houses and apartments, and 1100 sq m commercial office space, located on Gladstone Row, are now fully occupied. The majority of the highways infrastructure is now complete before being formally adopted by the Highways Authority (Brighton & Hove City Council). 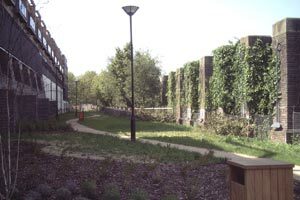 The construction of the Northern Greenway, a publicly accessible site of nature conservation interest and park, is due to open to the public later in 2009. This includes a new pedestrian link from New England Road to the centre of the New England Quarter, which will open up the Grade II listed viaduct to the public crossing New England Road. 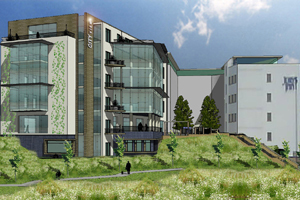 It is anticipated that the remaining portions of the site, including a five storey office block of 3,428 sq m, to be located next to the Jurys Inn Hotel, will be under construction over the next one-two years.